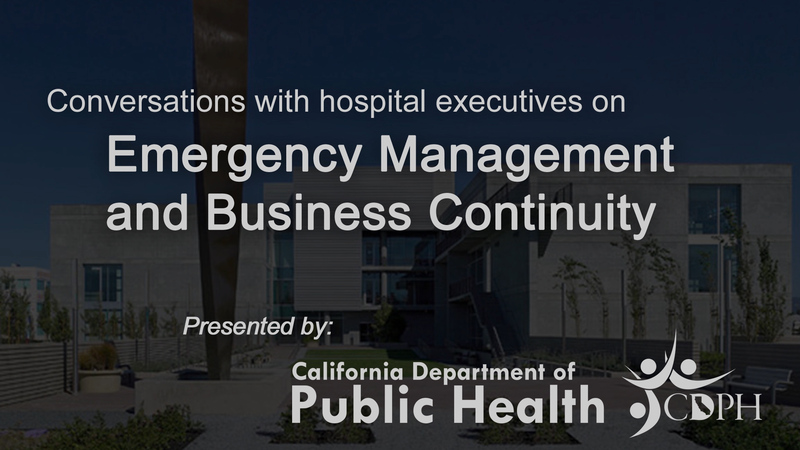 During workshops and training sessions around the state, the issue of engaging executives and aligning emergency management and business continuity with organizational strategies, has been a reoccurring priority for emergency managers. 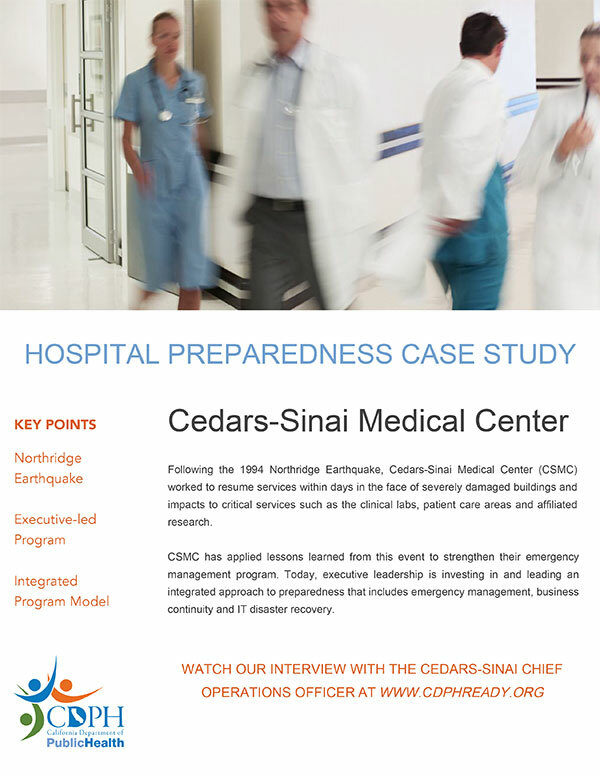 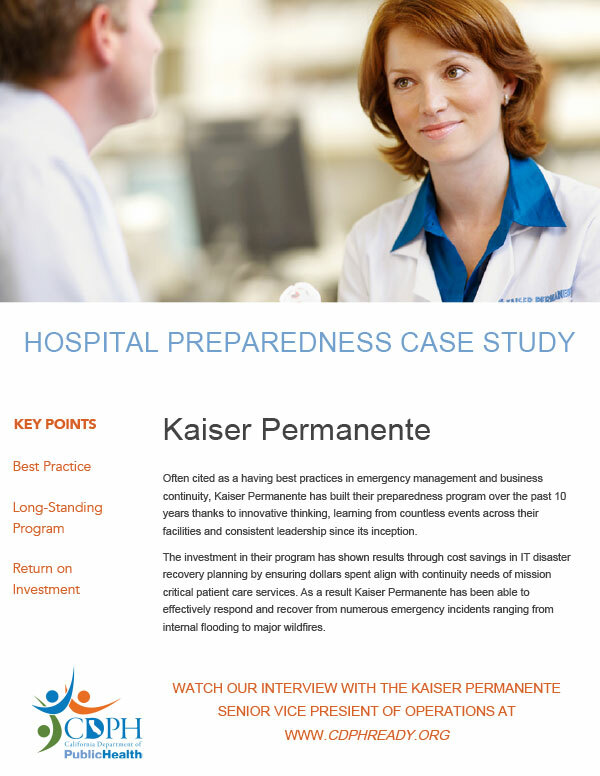 In response, the California Department of Public Health Emergency Preparedness Office created Hospital Resiliency – Executive Briefing Toolkit as a multi-media program to outline the importance of having a complete hospital emergency management program from the perspective of hospital executives. 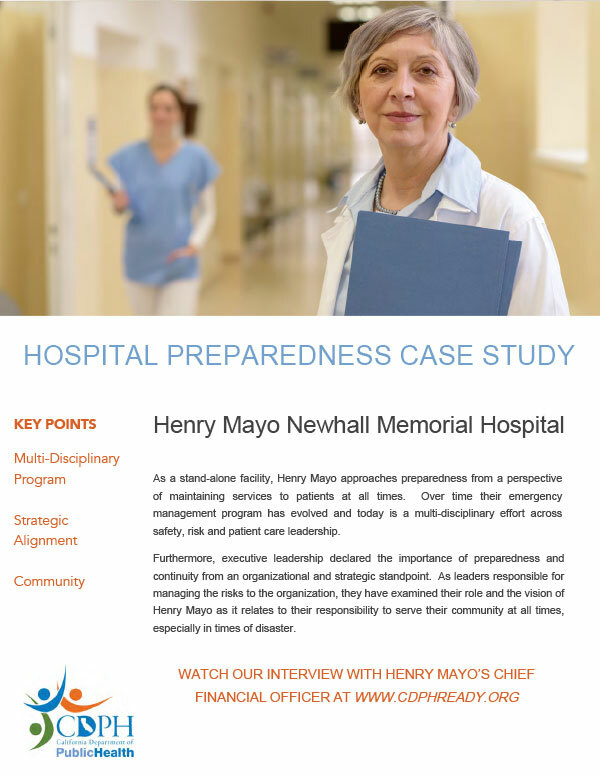 It’s our hope that this toolkit will inspire executives in healthcare organizations across the country to examine their perspectives and priorities surrounding emergency management, and consider how they work with their emergency management team to create a more resilient hospital and community. 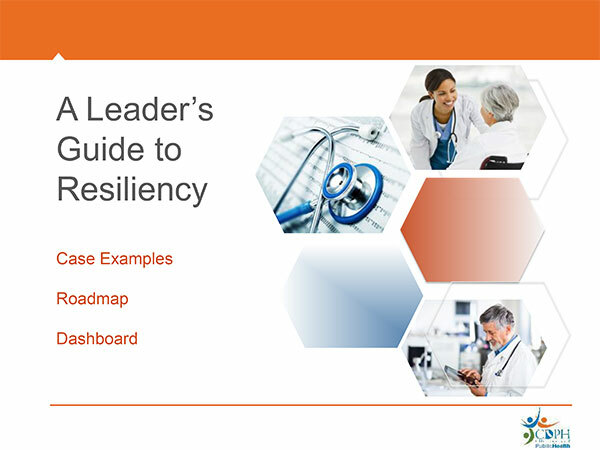 This resource is a short PowerPoint, with presentation notes, that may be used for a presentation to hospital leadership. 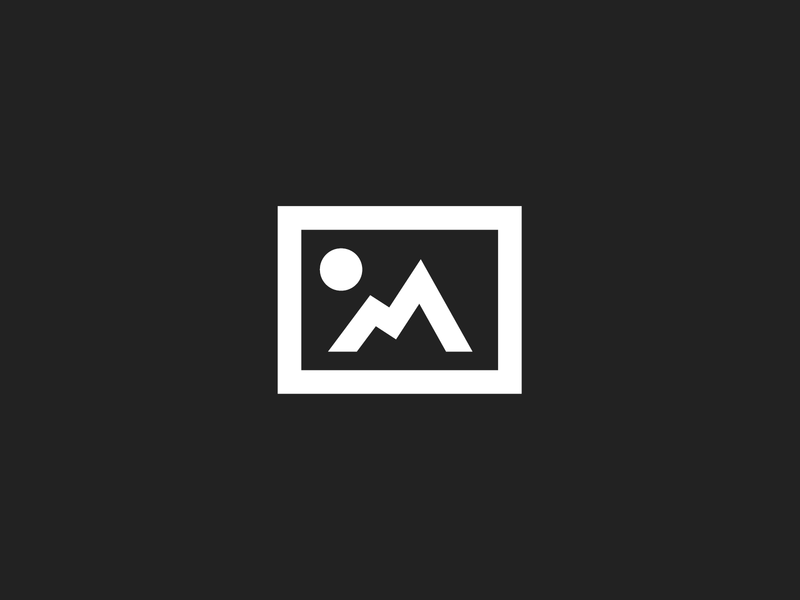 See the Notes section for talking points. 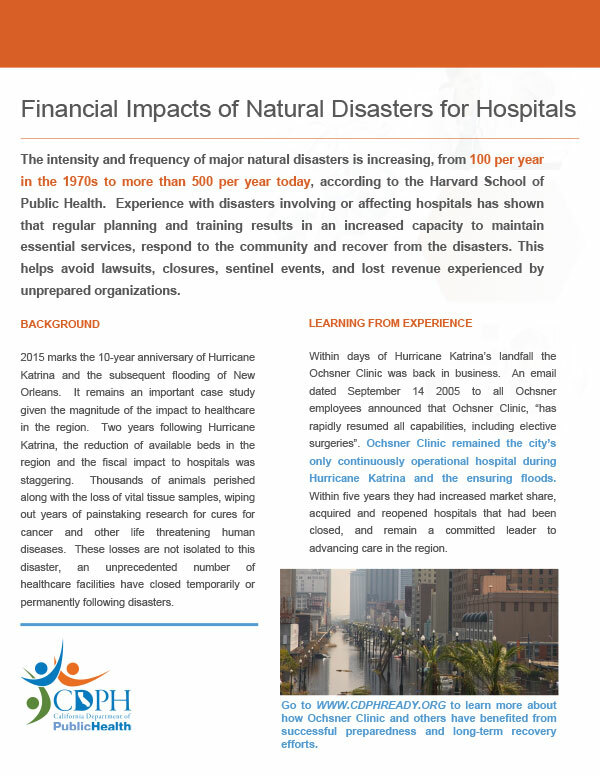 This two page document outlines the increasing intensity and frequency of major natural disasters and their impacts on hospitals and the communities they serve. 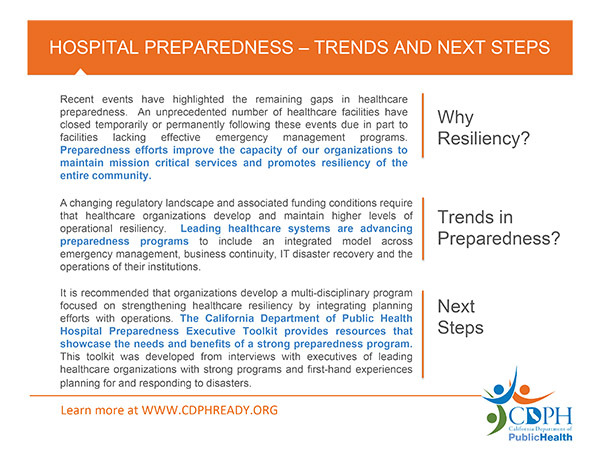 This short video allows you to hear, in their own words, from three industry leading hospital executives why they are committed to active implementation of emergency management practices and how their organization has benefited from making resiliency a priority.